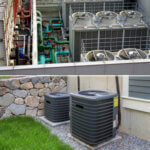 Home » All Posts » How Much Does A HVAC System Cost? Heating, Ventilation, and Air-Conditioning (HVAC) systems form the foundations of temperature control within residential and commercial premises. The Heating, Ventilation, and Air-Conditioning system cost has to be a major consideration whenever you contemplate installing something like this. You will gain a greater understanding of how these systems work, along with the total HVAC system cost, based on the latest estimates from quality providers. It would be impossible to provide you with an exact figure for a total HVAC system cost. There are a number of factors at play here. This is why we can’t underline enough how crucial it is to have a professional contractor come to your home. First of all, it depends on the system you purchase. Better systems mean you can expect to pay more in costs. This is why the provider you decide to go with is integral to the results you get. You also have to consider the size of your home and any unforeseen challenges. For example, a home that has an awkward layout will command higher prices. 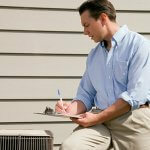 The only way to get an accurate HVAC system cost is to receive a personalized inspection of the premises. Furnace – The furnace supplies heat and may operate on either oil or natural gas. Within the furnace is a heat exchanger, which is what actually warms the air. Air Conditioner – The air conditioning unit is placed outside of the home and uses electricity to operate. A compressor and coolant liquid inside extracts heat from the air. Any hot air is sent outside, whilst cooled air is kept inside. Ductwork – The ventilation ductwork is the transit system for hot and cold air. This is responsible for moving cold and warm air around your home and connects the entire system together. Thermostat – This is the heart of the HVAC system. You can turn it on and off from this part of the HVAC system. There are other aspects of the system, but these differ from system to system and don’t form the core components. The cost of an HVAC system is significant, and that’s something we can’t deny. However, there are ways to save money. It’s not as expensive if you take advantage of some of these money-saving tips. Look for rebates from your state or local utility company. 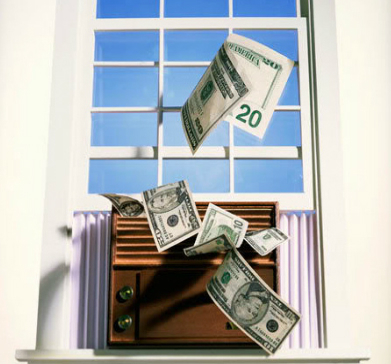 Each state and utility company has rules on rebates for replacing older HVAC systems. It’s possible to gain thousands of dollars back by upgrading. Ask for an off-season discount by having your new system installed during the spring and summer months. They’re less busy and need the business, so you’re more likely to get one. Search for the right company. You’re not going to find any radical differences between companies. The quality you can pretty much guarantee from the very beginning. Get a number of quotes before making the final decision. Saving money on a new HVAC system is about timing and research. Remember, you don’t have to have the full system installed. If you live in a part of the country that’s nearly always hot, there’s little use in having a furnace installed. If you are on the Pacific Coast of California, why would you ever need a furnace? The total cost of a HVAC system can differ. Before you part with any cash, have an expert visit your home and perform a full assessment. The floor space, the layout, and even where you live can have a significant impact on how much you pay. Do your research and make sure you don’t lose out when it comes to your next HVAC system. What Questions Should You Ask While Getting an Air Conditioning Estimate? 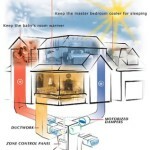 How Does a Zoned Heating/Cooling System Work?